April 28th, 2015 | Moving Tips. When you receive orders for your first permanent change of station, it can be hard to know where to start. Most importantly, you’ll want to take advantage of the available resources. Temporary Lodging Allowance. If you are moving overseas, you may ask for a temporary lodging allowance. This entitlement provides a lodging allowance for military members until they find permanent housing. Temporary Lodging Expense. Like the allowance mentioned above, this expense covers lodging for military families. The main difference is that this is for members moving within the continental United States. leave. During this time, you can make a house hunting trip to your new station without paying a fee for leave. Once you’ve taken advantage of these entitlements, you can start to plan the rest of your moving details. 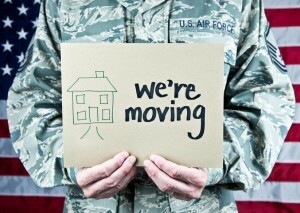 Which relocation program you work with depends on your branch of military. Most often, you will need to contact the Transportation Management Office. This group will provide information on the coordination and reimbursement for your move. The earlier you can make an appointment, the smoother your move will be. Once you’re familiar with the moving options available, you’ll be able to make some final decisions. Request a sponsor. A sponsor from your destination provides extra support to your family. This individual can also prepare for the move by helping you determine which items to take. Connect with employment assistance programs. Once you reach your destination, your spouse may be on the hunt for new employment opportunities. Your post or base may offer an employment assistance program to help with this step. Members of this program may also help your spouse apply for the Accredited Financial Counselor® certificate. Military spouses can earn this certificate while they provide financial guidance to other military families. By taking advantage of these services and more, you ensure a smoother transition for your loved ones. Saved money. Rather than having the government move you, you can choose to receive 95 percent of what that move would cost. The advantage here is that you get to keep whatever money you have left over. So, by working with a moving company and taking advantage of discounts, you can actually make money on your move. Increased control. Of course, another advantage will be greater control over your move. Rather than leaving all the decisions to the government, you can make those choices yourself. Additional time. The other bonus will be your ability to create your own timeline. If you plan wisely, you may save time by procuring your own move. 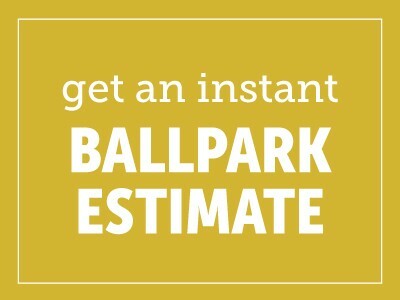 When you connect with a local moving expert, he or she will be able to answer some of your pressing questions about relocating to a new base. Remember, the sooner you get started, the smoother your transition will be!